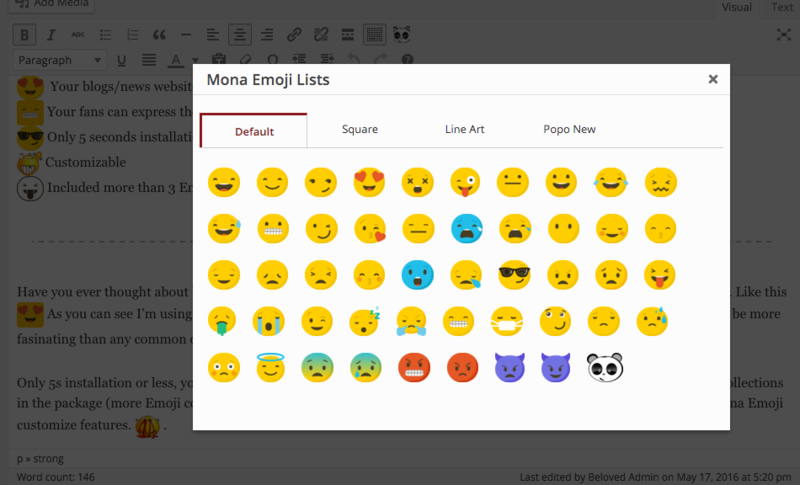 Mona Emoji is a First Professional Emoji/Ecomoticons wordpress plugin, which will help you make your posts/pages become more acttrated by adding a Emoji Picker on your wordpress editor. Mona Emoji is customizable, mean that you can add many kind of emoji/emoticon define by yourseft even JPG, PNG, GIF, and we also add “Collection feature” which help you easy to pick what kind of emoji using in every single post/page’s subject. And we also have 4+ collections included in this package.